The underside of the table top is 29" from the floor. 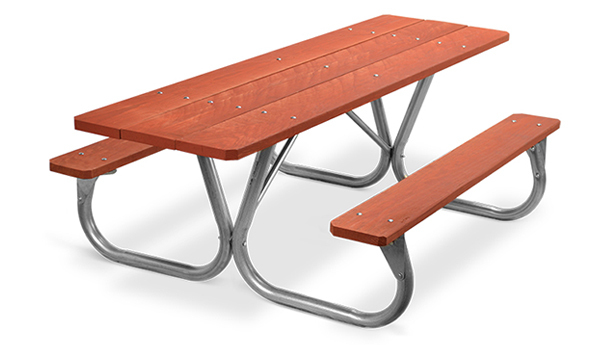 The seat board is 18-1/2" high, the same height as a wheelchair seat. 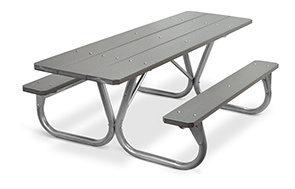 The seats are 6' long, with an 8' top providing an extension of 19" beyond each end of the frame to accommodate 2 wheelchairs, one at each end. 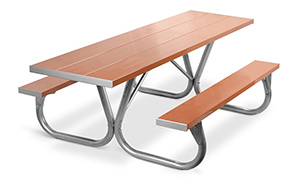 ►Need an ADA Park Chief Picnic Table Fast?